The Sky Dragon and foster mother of Wendy Marvell. Grandine seems to enjoy poking at people's sensitive areas. She is unafraid of making other dragons unhappy by bringing things up that are most likely a sore subject to them.At one point in her life, she found and raised a human girl named Wendy Marvell. Grandeeney taught Wendy the ancient Sky Dragon Slayer Magic and some healing Magic. 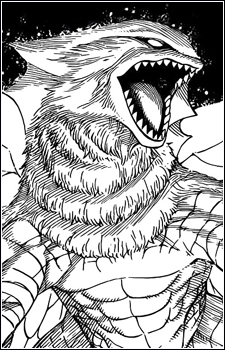 However, on July-7-X777, Grandeeney disappeared, like all other revealed dragons in the series. and left Wendy for unknown reasons.